Tangent have been working with Wolseley for over six years, providing them with a range of data services. 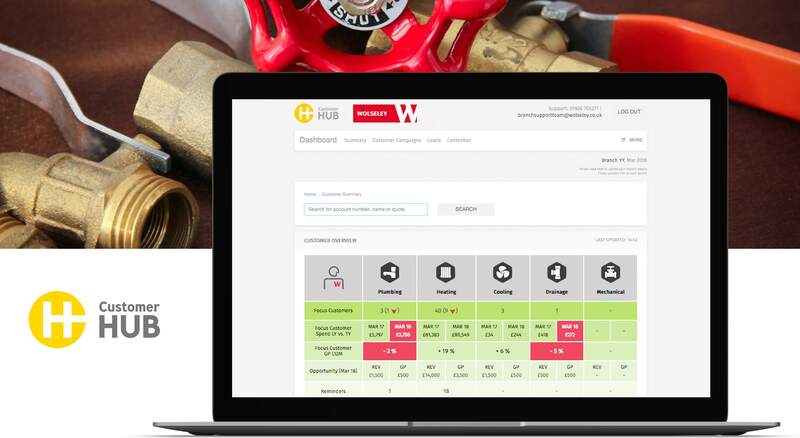 Our bespoke insight platform, Customer Hub, is used by all of the Plumb Center and Parts Center branches. The Hub is designed to give branches actionable insight about their customers, support central campaigns, a CRM tool and a sales pipeline. We use a customer lifecycle framework coupled with customer segmentation and RFM modelling to support branches and The Hub uses a suite of reporting tools and infographics to display a single customer view. After drilling down into the customer data and analysing user behaviour we were able to identify 30,000 trade customers that could have been spending more. We created a highly personalised loyalty campaign across digital and social channels to drive users in store. The result: we successfully achieved £20m in incremental revenue over a 6-month period.